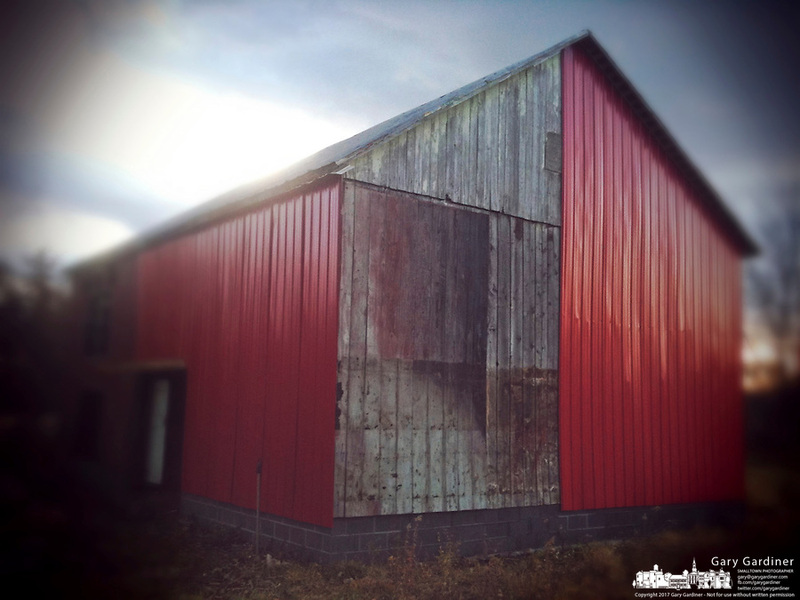 Red siding on old barn. iPhone photo. Manipulated with app.